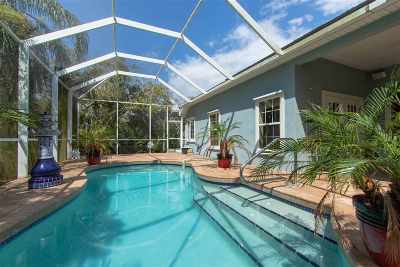 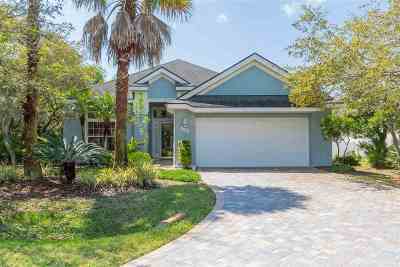 Come see this Beachside Pool home in private Ocean Trace! 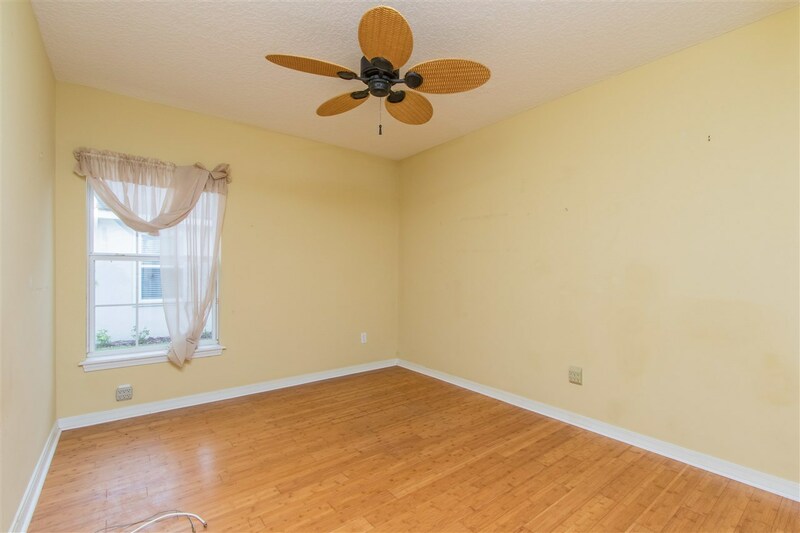 Solid CB construction with 4 bedrooms and 2 baths! 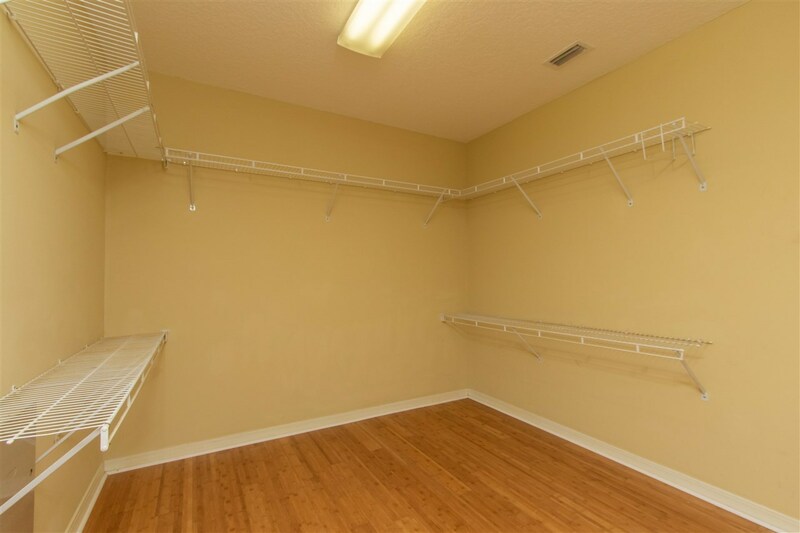 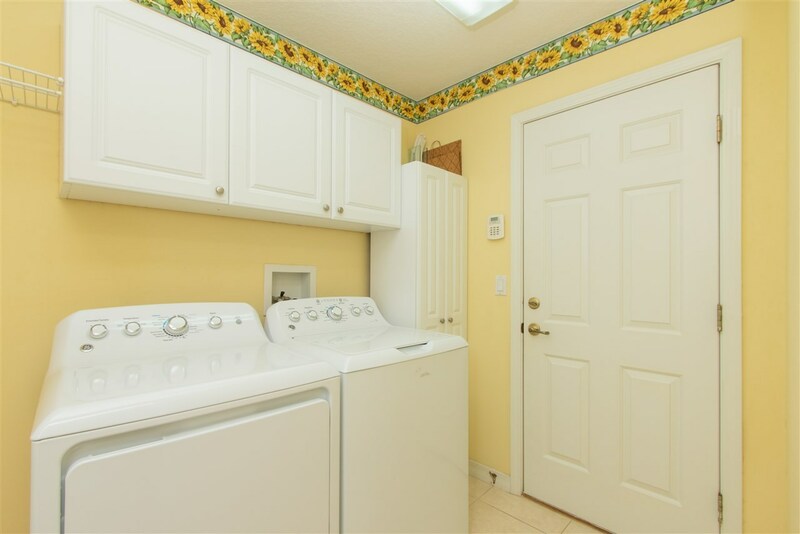 Tucked away on a cul-de-sac lot, this prime location offers peace and quiet! 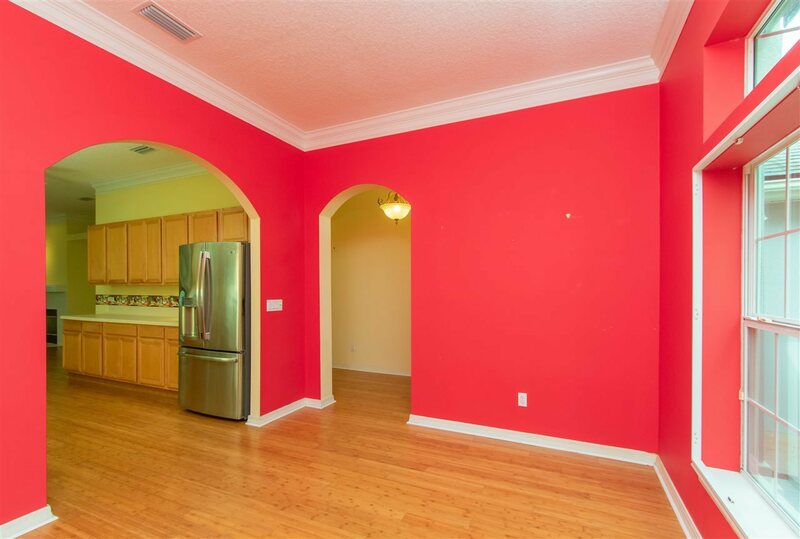 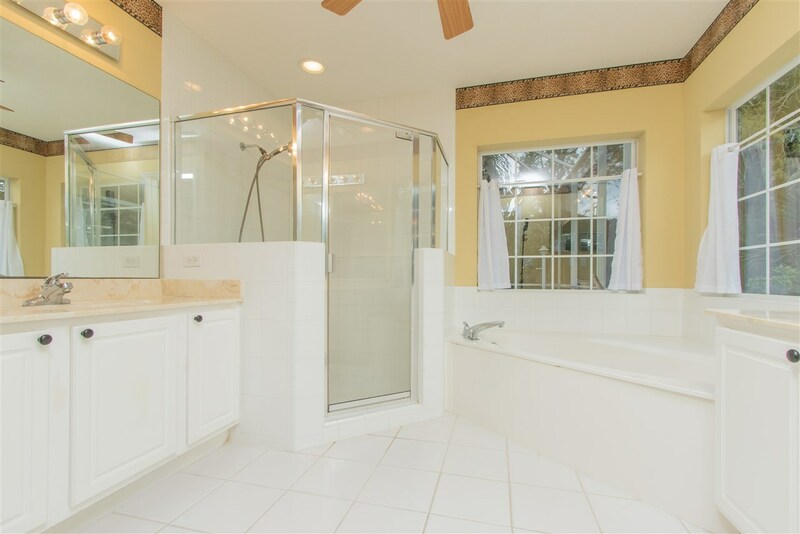 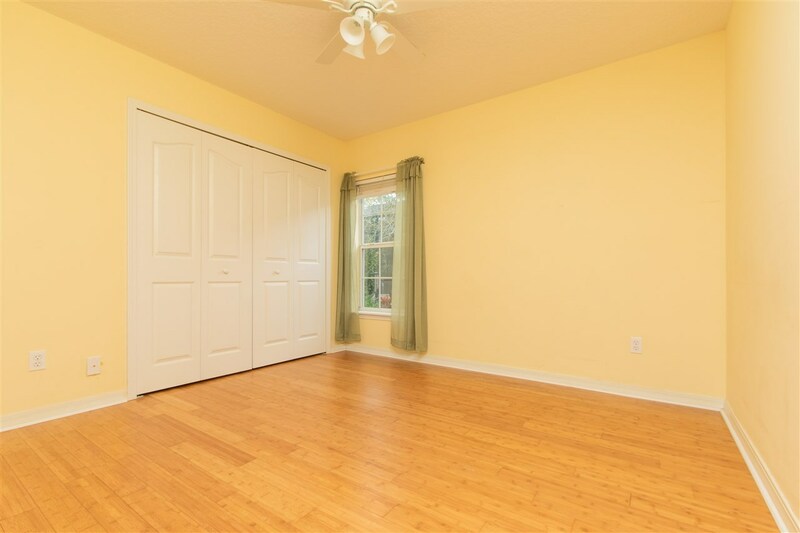 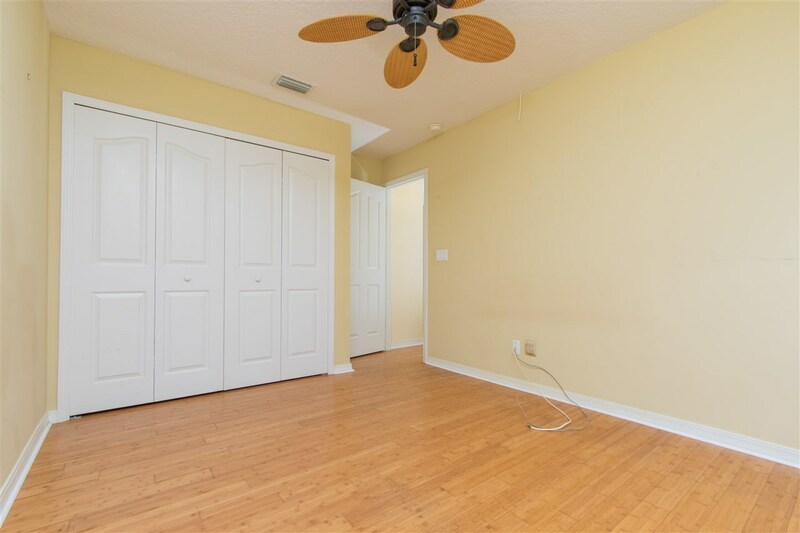 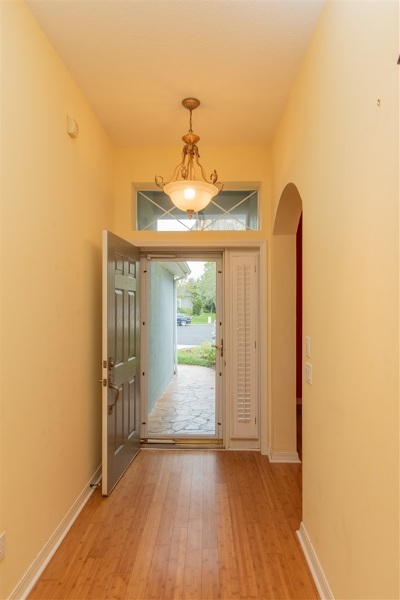 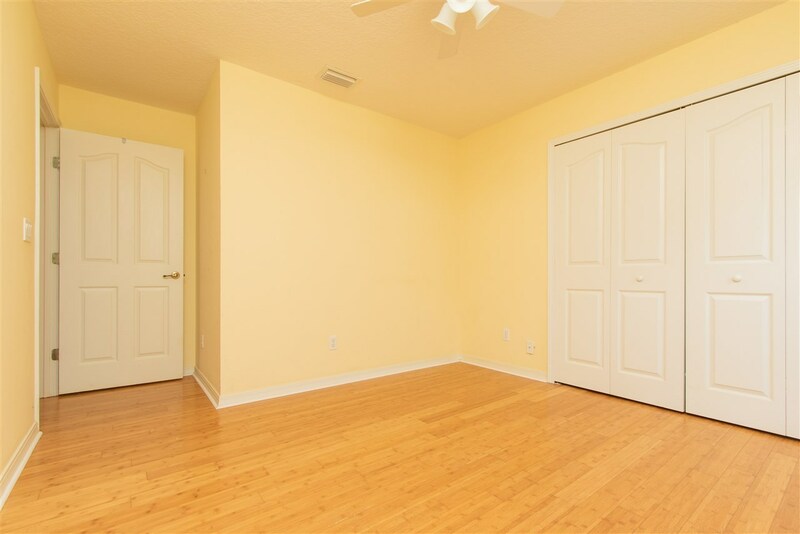 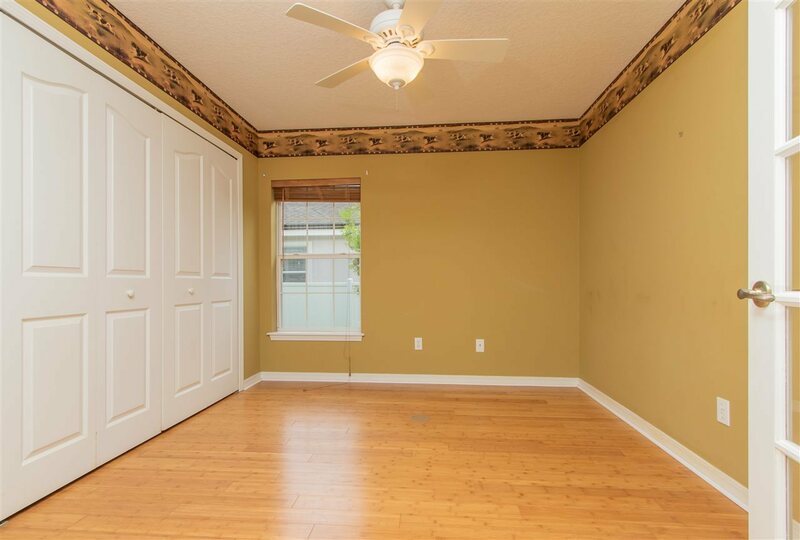 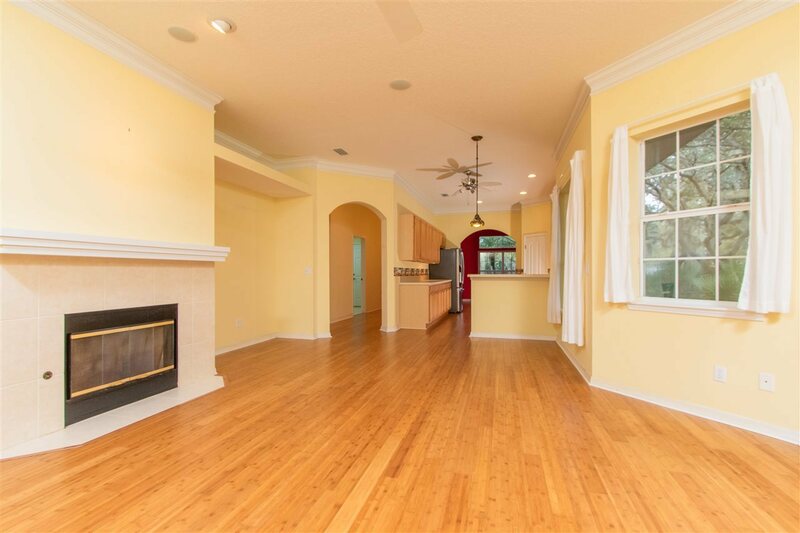 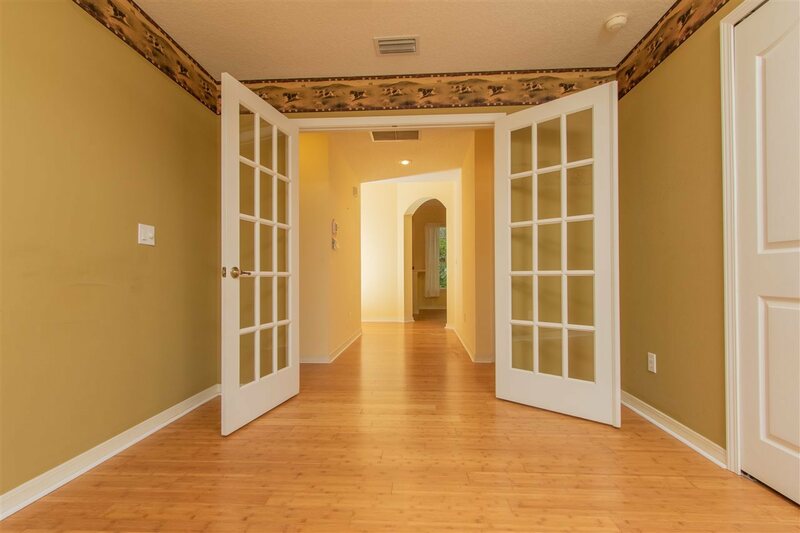 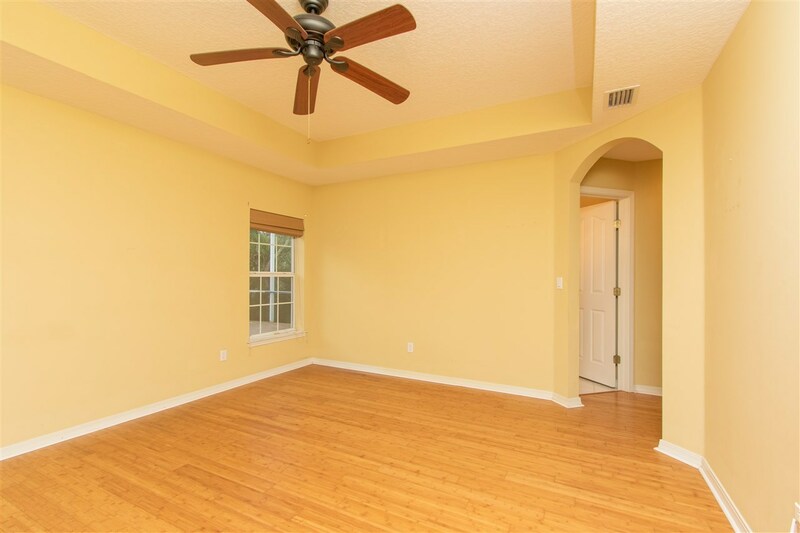 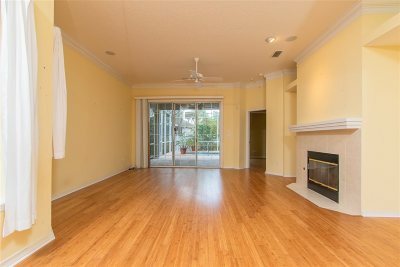 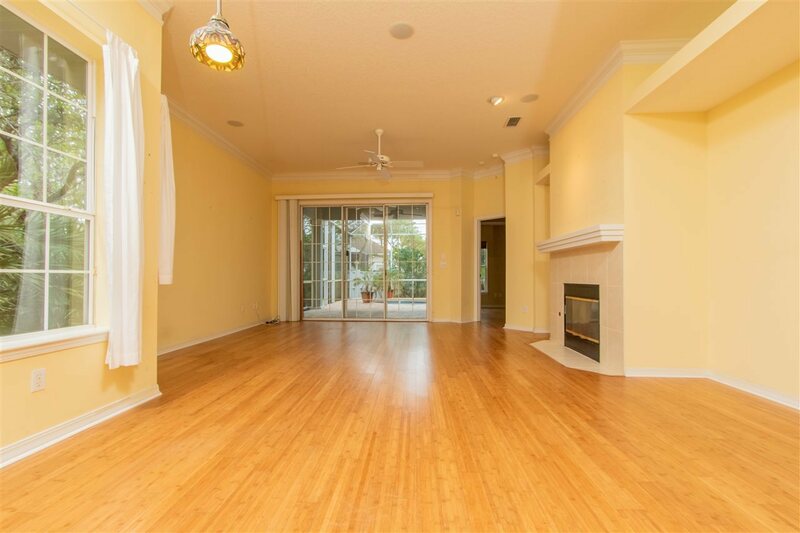 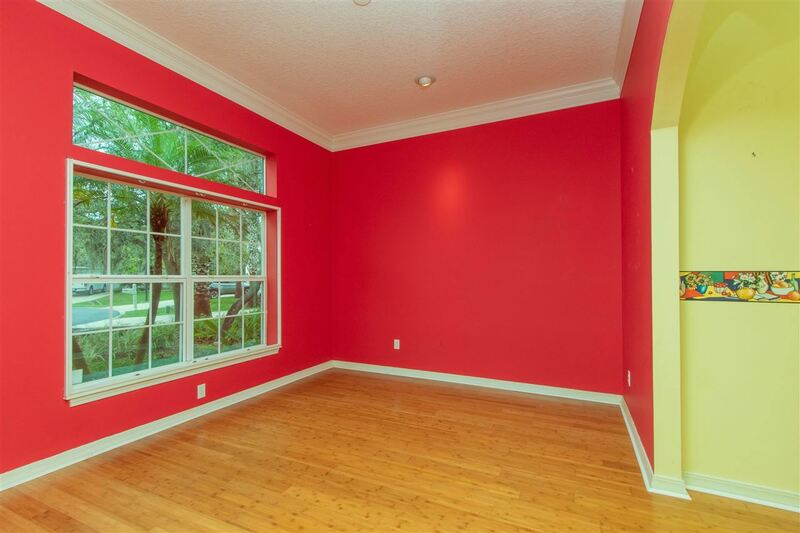 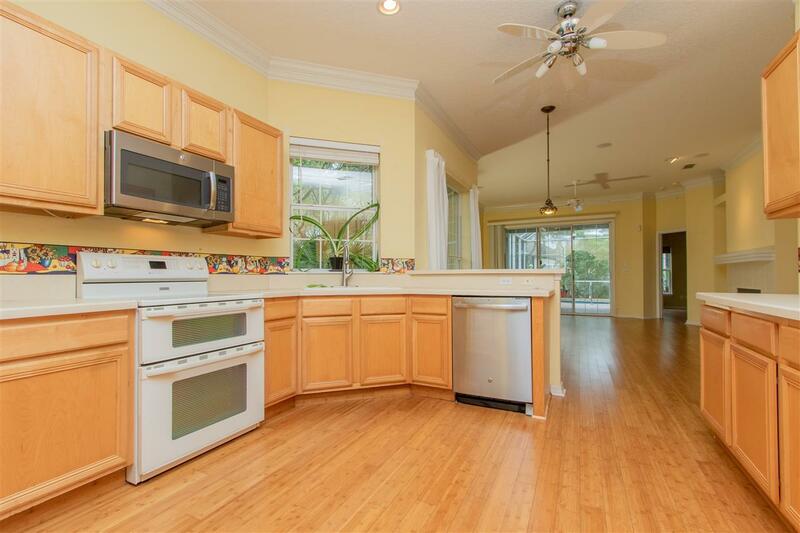 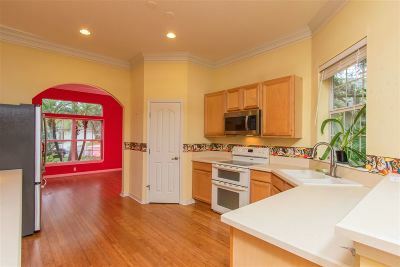 This home offers High ceilings, Bamboo style floors throughout, and decorative crown molding! 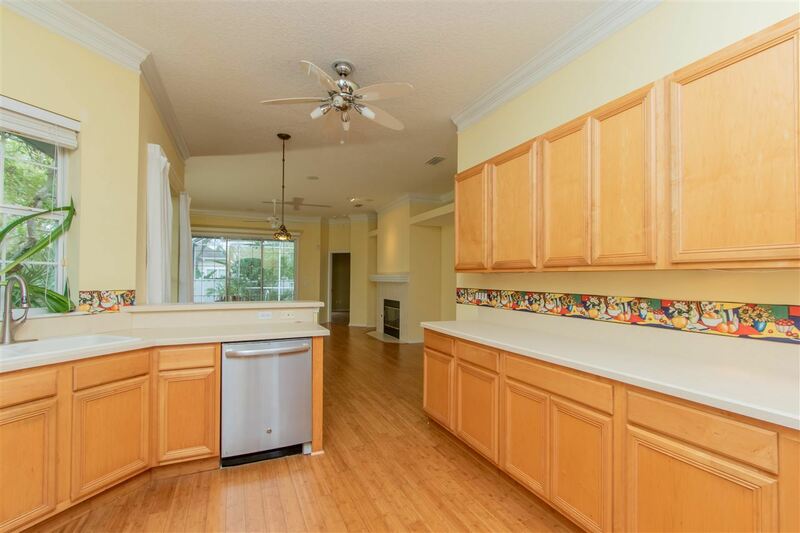 Enjoy your bar-style kitchen with ample prep space and storage! 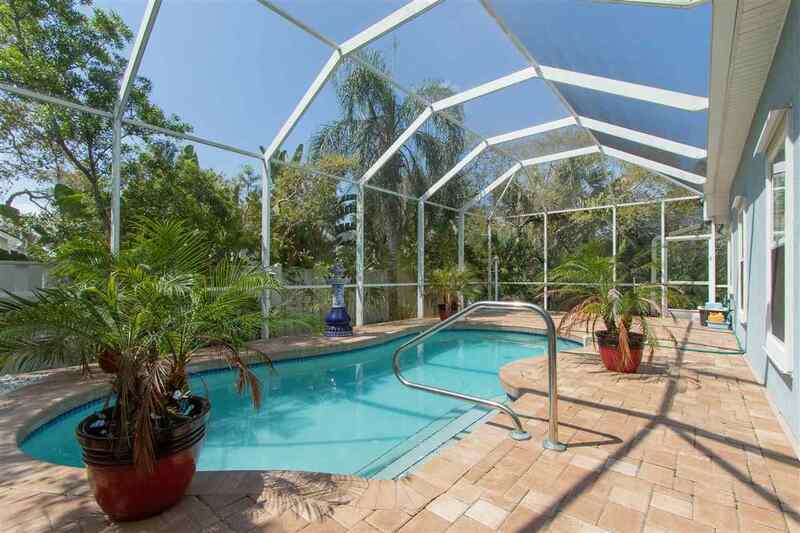 Relax outdoors on your screened backyard paver patio or take a dip in the saltwater pool! 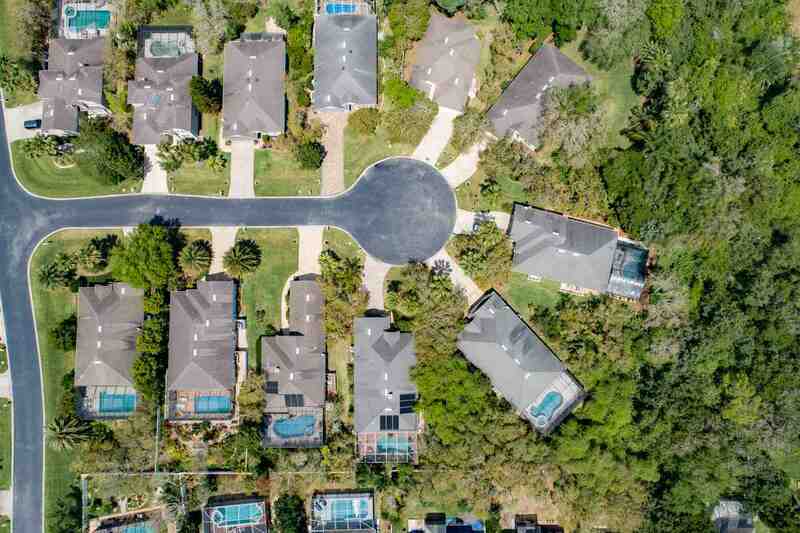 Just blocks from the beach! 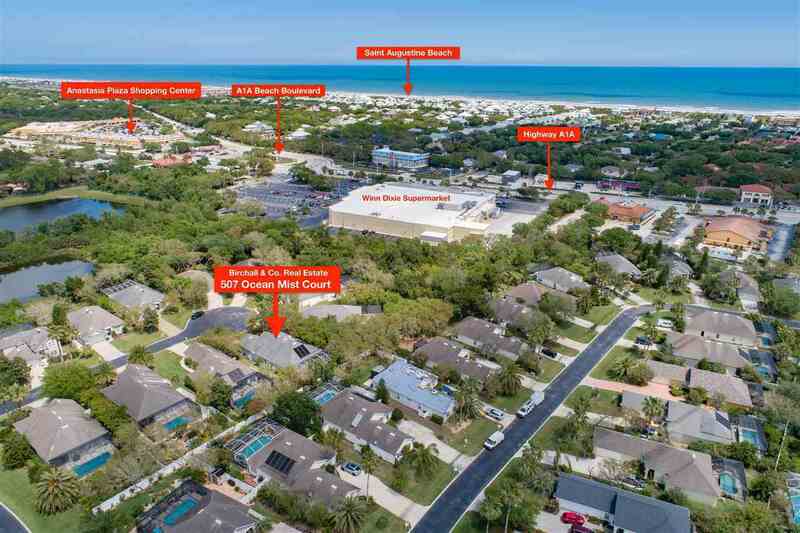 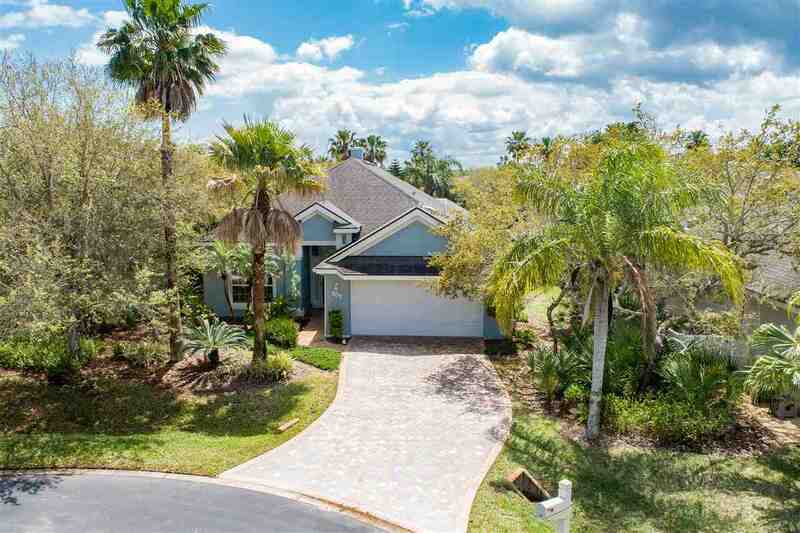 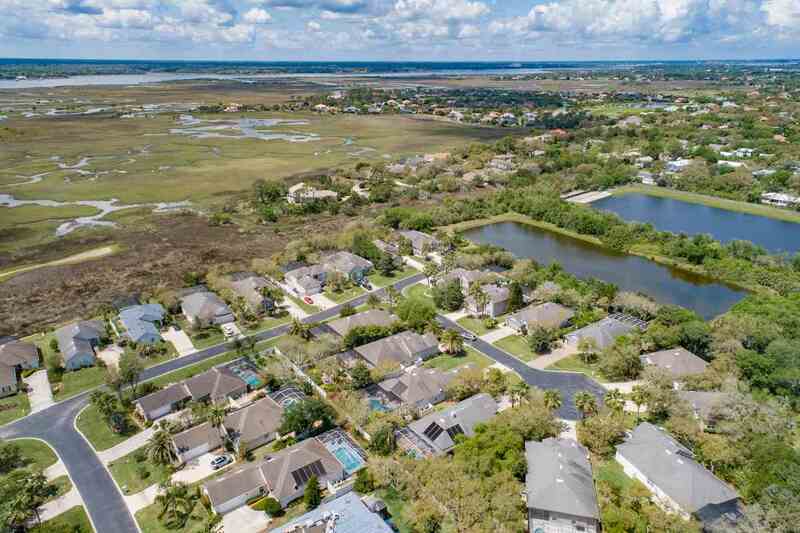 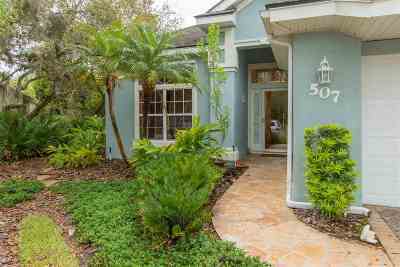 HOA fee includes Lawn care too!, Located on Anastasia Island, Ocean Trace subdivision provides a private, tranquil beach side setting close to shopping, dining and historic downtown St. Augustine! 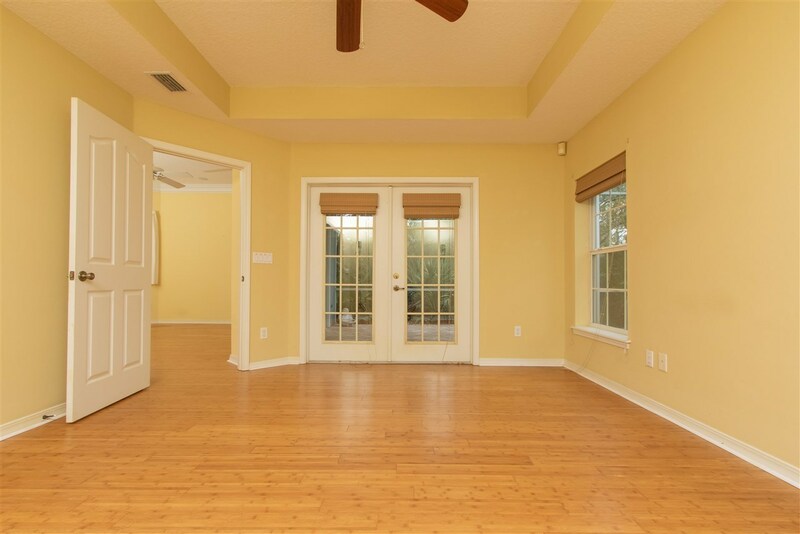 This home is ready for a new owners touch! 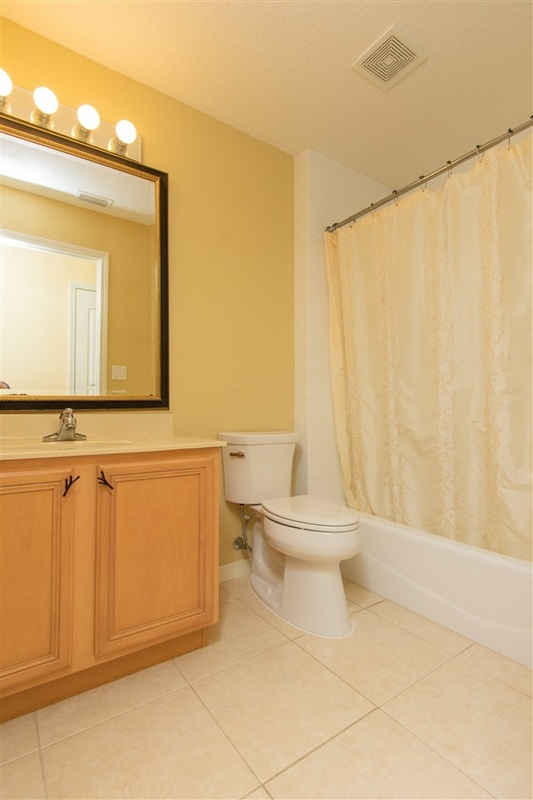 Well maintained with wood burning fireplace, irrigation system for the yard and paver driveway. Updates to the appliances, A/C, water heater and pool have been completed over the years and the natural landscape provides an added bonus. 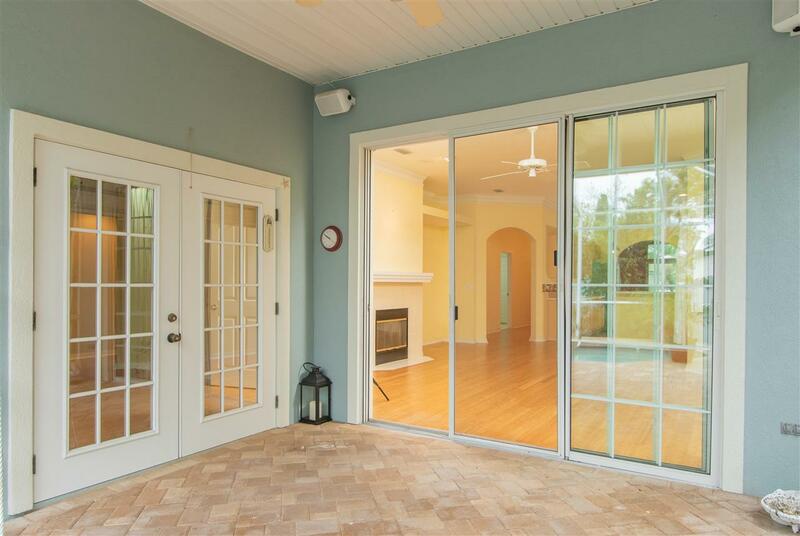 Custom hurricane shutters, surround sound and solar heating panels are included. 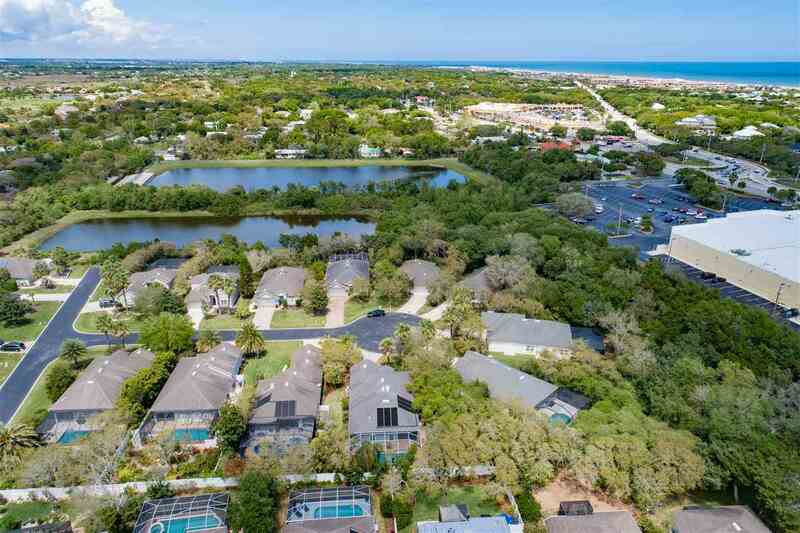 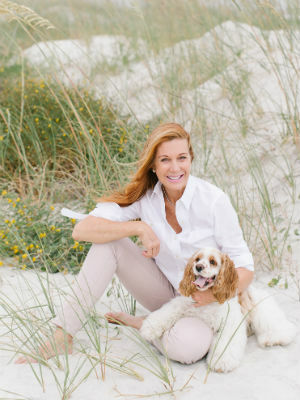 Less than a mile from the beach, enjoy ocean breezes and an abundance of nature! 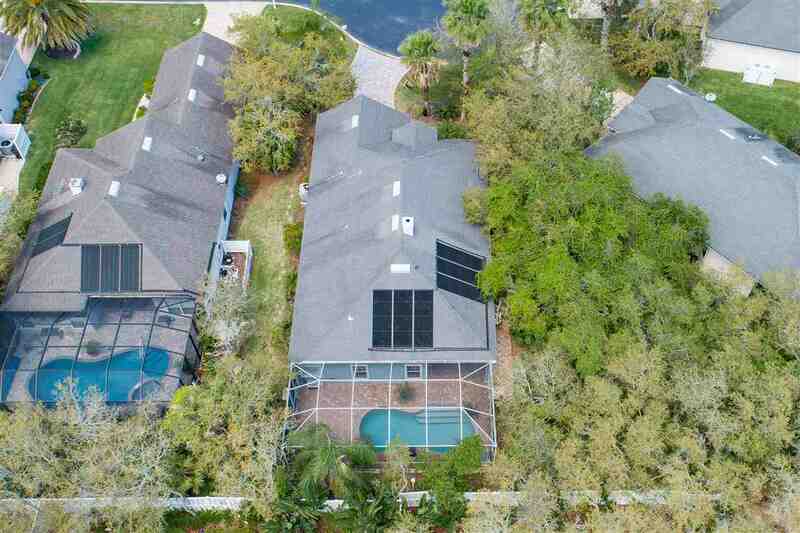 Solid poured concrete construction with 2 car garage and an intelligent design! Located on the banks of the ICW, this private gated community offers an attractive lifestyle at an affordable price! Come see for yourself!